“Sky” lost his life because of too much freedom. He corralled a neighbor child with a few nips. His owner put him down. 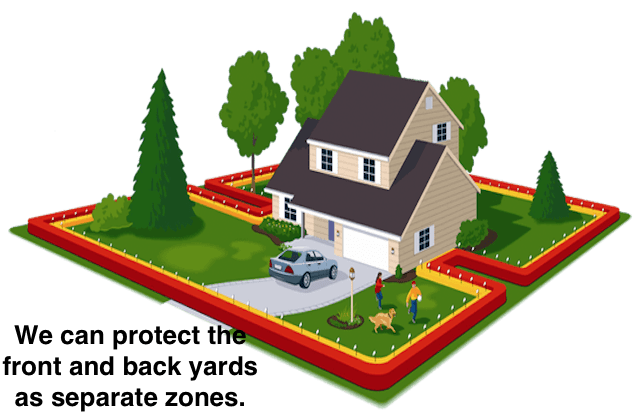 Our “GentleStart™” and “SafeYard™” dog training methodology creates the least stress for you and your dog in the hidden fence industry. 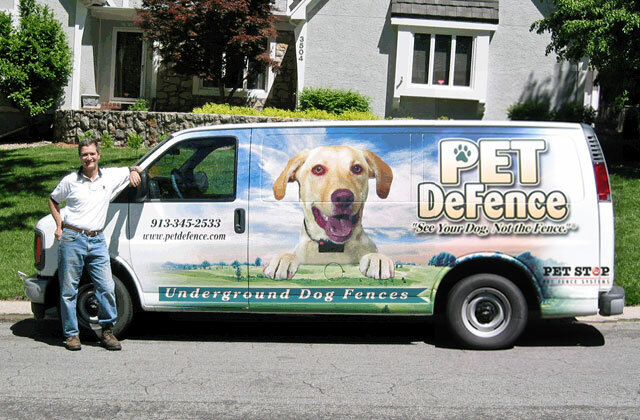 Once your Pet DeFence hidden dog fence is installed, we instruct your pet and you using “GentleStart™” and “SafeYard™” training methodologies. 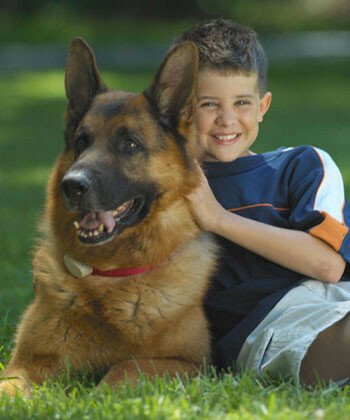 This humane and patient program guides you and your pet through the learning and awareness phase. Our training program is the polar opposite to all other training methods. Within a few minutes of starting, you will most likely begin to understand that nothing else makes sense, and that nothing else could be so humane. Your dog will be trained in the gentlest fashion. 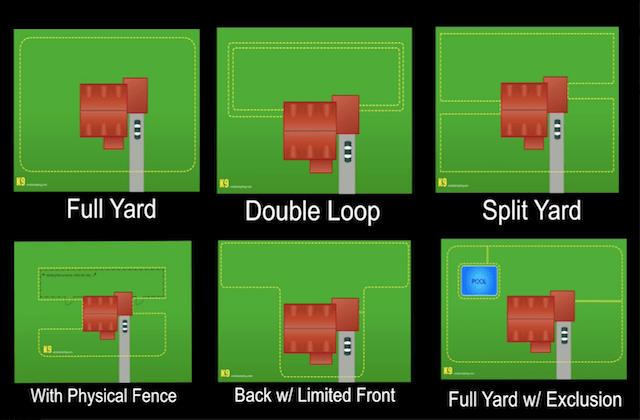 We aim to make your yard a safer, funner, happier and more rewarding place than it was before we started. 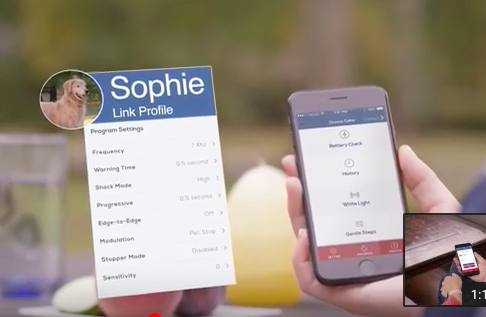 With “SafeYard™” training, only after your dog shows its understanding and willingness to participate is it permitted to receive only the slightest tingle. The shock is so tiny at this stage that most dogs will not notice it the first several times it happens. One of my customers let her little four-year-old daughter touch the collar on the first day of training. She said, “It feels like someone is blowing on my fingers.” Of course, this level will not keep your pet home in the long run, but your pet is on a leash at this time and is being gently guided through awareness, and eventually into containment a few days later at a higher shock level. 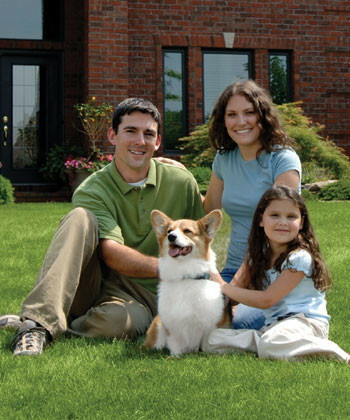 During “GentleStart™” with “SafeYard™” dog training, your pet learns the process thoroughly. 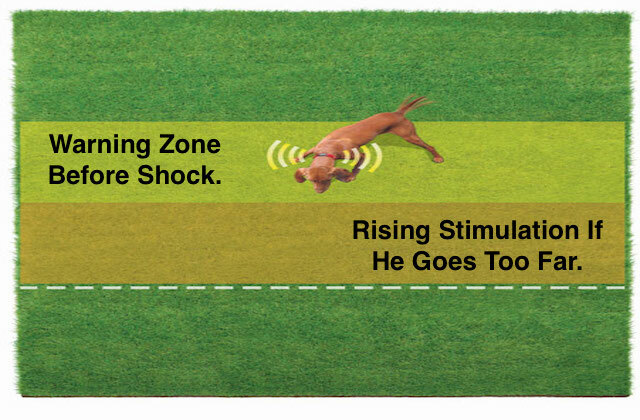 During this awareness stage of training, your pet only receives the tiniest stimulation from the receiver. 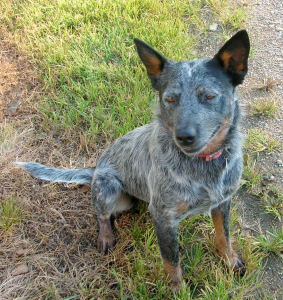 This convinces your pet that squirrels, cats, deer, distractions and other enticements can come and go. However, your dog will stay in the yard. After a few weeks, most people begin to remove the flags from the yard and they trust their pets to stay safe at home! 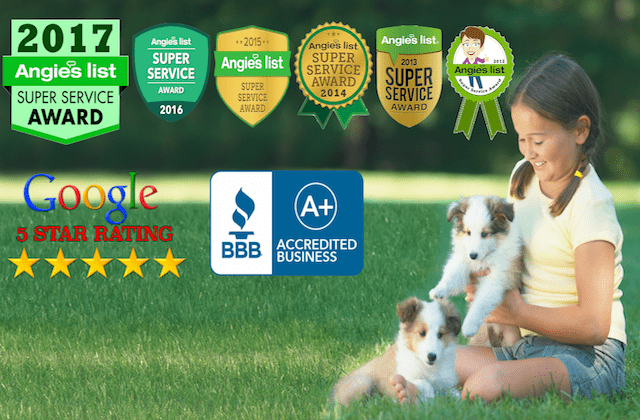 SafeYard™ combined with GentleStart™ is so successful that the International Association of Canine Professionals awards certification in this process. 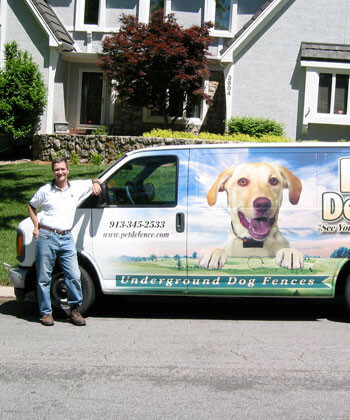 Our president, Roger McCoy, was one of the originators along with Rich Weinssen of www.HiddenFence.com in Randolph, New Jersey. 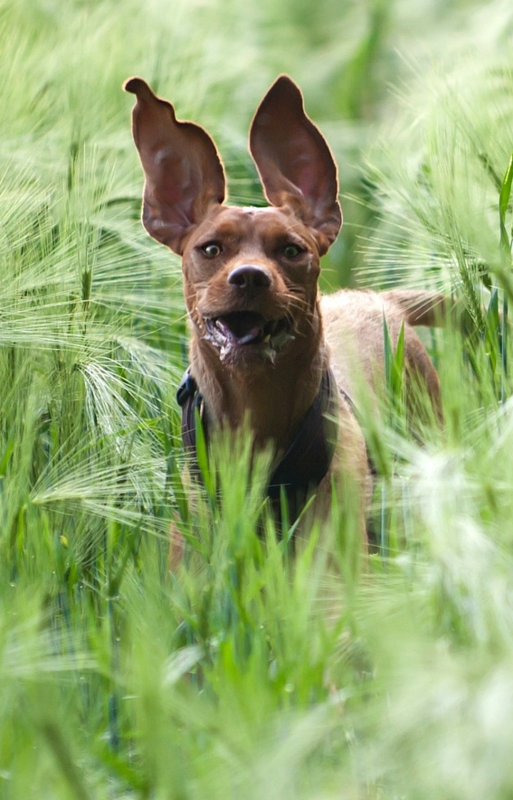 Do you need Professional obedience training for your dog?